With a new year underway, you may be thinking about some of your short and long-term goals, both personal and professional. Maybe you’ve been wanting to ramp things up in the career department, and a promotion with new responsibilities and opportunities would help you do just that. If you’re interested in asking for a promotion, but are a little apprehensive about doing so, that’s completely understandable. Asking your boss for a promotion can be nerve-wracking, as it’s a situation that can leave you feeling vulnerable. But that doesn’t mean that you shouldn’t take the risk. 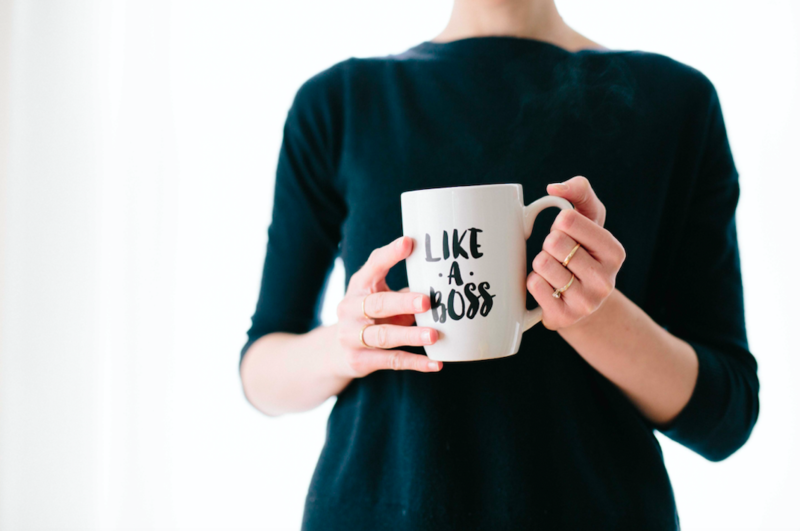 Here are some ways to build your confidence and improve your success when it comes to having that important conversation with your boss. Before you discuss a possible promotion with your boss, take time to reflect on why you want the promotion in the first place. Or is it that you’re more interested in earning a higher salary and having a title that you feel will be more impressive? Perhaps you’re feeling dissatisfied with your current position and believe that a move up the ladder will solve that? There are a whole host of reasons why you could be seeking a promotion. Inc. Magazine describes some typical motivators for asking for a promotion including Ambition, Money, Opportunity, Dissatisfaction, and Boredom. Understanding your motivation for wanting a promotion will help you determine whether taking steps to get one is the right path forward for you as well as your timing and how you go about it. Gradually asking for more responsibilities – this can include taking some things off your boss’ plate, if possible. Familiarizing yourself with higher-level responsibilities now will set you up for being able to successfully tackle them if you’re promoted in the future. Making time for professional development – taking additional courses, attending relevant conferences and workshops, and seeking out an appropriate mentor all show that you are committed to growing your knowledge and skill set. Honing the right skills – do your research and determine which skills are required for the job you want, then figure out which ones you have and which ones you need to sharpen or acquire. Managers need to have strong technical skills, training skills, the ability to multitask, exceptional interpersonal skills, and a knack for generating business. Asking for feedback – in order to know whether you’re on the right track, be sure to check in regularly with your boss to find out what you’re doing well and what you could be doing better. This information can help with timing your promotion request appropriately. Keeping track of your achievements – you’re in the finance and accounting industry, so you know the importance of clear data and being able to quantify what’s been accomplished. Use this knowledge to your advantage by creating a memo outlining your successes that you can present to your boss when you’re ready to discuss your potential promotion. Finding solutions to problems – being able to identify current problems with systems, procedures, or staff and coming up with actual, executable solutions that you can present to your boss will show initiative and a keen ability to problem-solve. When it comes to approaching your boss for a promotion, it’s unlikely you’ll ever find the perfect time. However, if you’re strategic about when you broach the subject, you might find your boss more open to the discussion. Just ensure you avoid these common promotion-request pitfalls that Forbes has outlined such as “Asking for a promotion or raise simply based on length of time employed”. If your boss is dealing with tension and problems in the workplace, it might be best to hold off on asking about a promotion until things are running smoother. That type of situation does provide a great opportunity for asking how you can help out, though. Look for a time when there are positive things happening and the atmosphere is more relaxed. Schedule a meeting with your boss and be sure to come prepared with notes and clear, quantitative examples of what you’re bringing to the table and how you plan to make things even better. While it’s natural to feel a bit intimidated about asking for a promotion, don’t let that hold you back. Take a deep breath and go for it. After all, if you don’t ask, how will your boss ever know that you’re interested in taking the next step in your career?